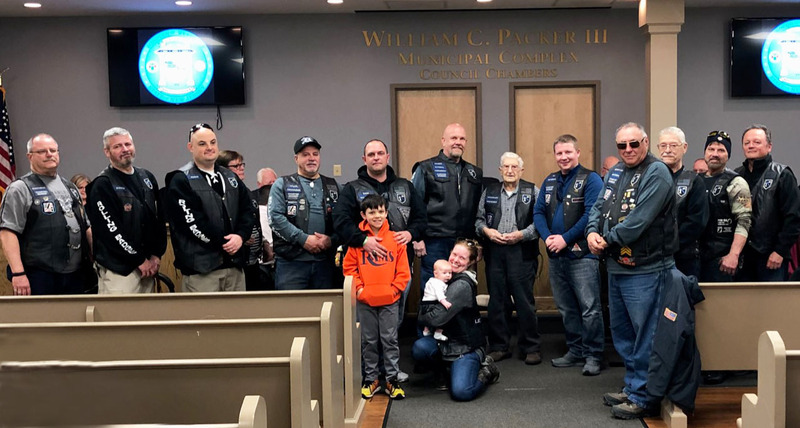 At the April 1, 2019 Council Meeting, Mayor and Council were excited to honor long time resident Herbert Souder with a Proclamation recognizing his 100th birthday, along with a Key to the Borough. Mr. Souder was also presented with a vest from the Rolling Badges making him an Honorary Club President. Mr. Souder also received an invitation from the Philadelphia Phillies to attend an upcoming game where they will acknowledge his birthday and service to his country (World War II and the Korean War), along with other Military Veterans. Happy Birthday Mr. Souder! Congratulations to the following 6th grade Parkview students who were selected by their peers, in an election held at the school, for Municipal and Professional positions. As a result of their election win, the students will conduct the May 6th Council Meeting. Fire Hydrant flushing will begin Tuesday, April 23 to Friday, April 26 during the day. Residents may experience some discoloration in the water. Do you ever wonder what you can recycle. Visit this Recycling Simplified web site for more information. Parkview School is scheduling appointments for incoming pre-K and kindergarten registration. If interested, call 856-456-0235, x 110 to schedule time to meet with a school official. – Saturday February 23 from 10:00 a.m. to 12:00 p.m.
– Saturday, March 2 from 10:00 a.m. from 12:00 p.m.
For more information about the league, visit the web site or call 856-456-7557. Starting February 7, 2019 Ambler Street is one-way from High Street to Broadway (going West). The Borough of Westville Police Department is implementing a voluntary business and residential camera registration project. This project encourages the community to register their home or business surveillance cameras with the Police Department in an effect to easily locate a crime that may have been captured by one. For more information on this project and to download the registration form, please visit the Police Department page in our web site.